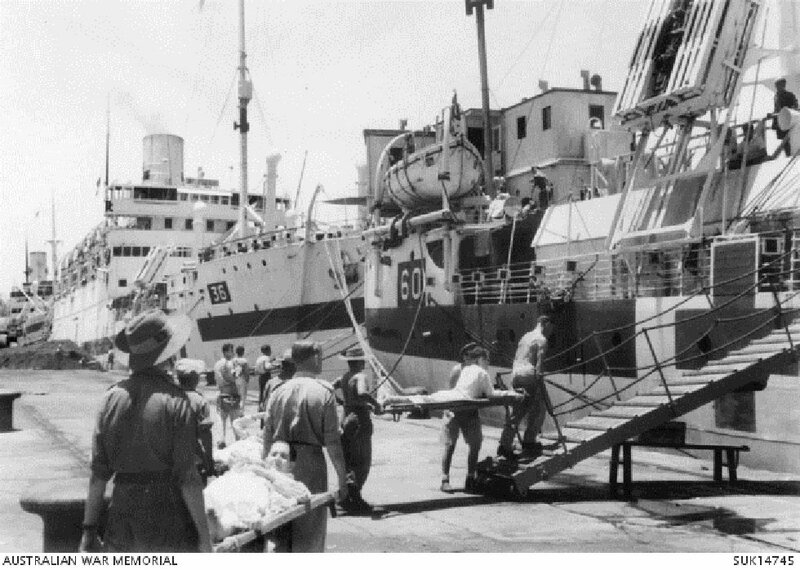 Stretcher cases, who were among the first sick POWs to leave Changi Camp after the Japanese surrender on 15 August 1945, going aboard a hospital ship for treatment and evacuation. Image courtesy of Australian War Memorial. Okamoto ordered the execution of 8 American airmen prisoners of war. Kobayashi received the order and arranged for it to be carried out by beheading. Too participated in the execution. Prosecution witness Horikawa Masaru was brought into the Court on a stretcher, and while declared able to give evidence by the visiting gaol doctor, gave his testimony while on the stretcher, with the interpreter's chairs moved next to his stretcher. 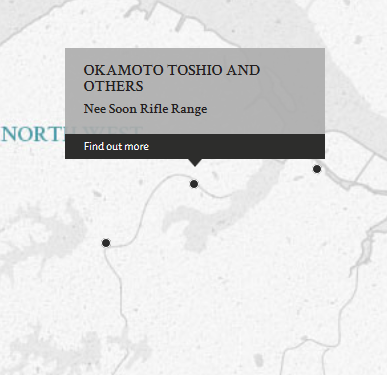 Okamoto, Toshio. Lieutenant Colonel. From Japanese military. From Japan. Guilty. Death by hanging. Sentence reduced. 20 years' imprisonment. Kobayashi, Kenichiro. Sub Lieutenant. From Japanese military. From Japan. Guilty. 20 years' imprisonment. Sentence confirmed. Noboruo (alias Too), Shizuo. Petty Officer. From Japanese military. From Japan. Guilty. 7 years' imprisonment. Sentence confirmed. Van Zeller, A.H. Lieutenant Colonel. From British military. Court president. King, G.A. Major. From British military. Abe, Taro. Barrister, Supreme Court of Tokyo.